Will I Lose My Inheritance if I Get Divorced in Colorado? If you are thinking about getting divorced in Colorado, understanding the state’s rules on property division is very important. A lack of understanding of these laws could put your assets and financial well being at risk. One question that our lawyers frequently hear is in regards to divorce, division of property, and inheritance. Here’s what you need to know. Colorado law holds that division of property in a marriage must be equitable (but not necessarily equal). To determine what is equitable, a court will consider several factors. These may include each spouse’s economic standing, the value of property–both separate and marital, who has custody of the children, etc. As mentioned above, a court will consider marital and separate property in making a property division determination. Only marital property–that is, property that was acquired by either spouse during the course of the marriage–is actually up for division. While nearly all property that a spouse acquires during a marriage is marital property, there are a couple exceptions to this. Property acquired by gift or inheritance is considered separate property. However, just because your inheritance may be separate property and will not be up for division, this is not to say that it won’t affect your property division settlement. In fact, one of the factors that a court considers, as mentioned above, includes the economic circumstances of each party. What’s more, if money from your inheritance has become co-mingled (i.e. used to buy a house together, put in a joint bank account, etc. ), it may be harder to prove that the inheritance is really separate. Working with an experienced attorney can prove beneficial when you are trying to divide property during a divorce, especially if you have separate property (such as an inheritance) or are involved in a high-asset divorce. Your attorney will help you to understand the laws applicable to you, and how you can protect your assets and secure the best property division settlement possible. The best thing that you and your spouse can do is to work together to reach a property division settlement that works for everyone. Our attorneys will gladly advise you in reaching such agreement, and can represent you during negotiations. In the event that compromise with your spouse proves impossible, our lawyers will represent you in court. 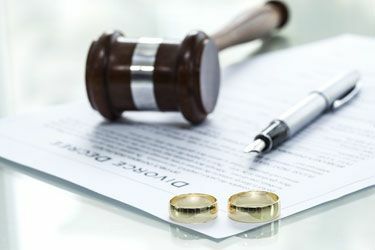 We have the divorce litigation experience that you’re looking for, and understand how to use the resources available to use to secure the best outcome for your case. To learn more about how we can help, please contact us by phone or online today.